This Week at the Café: The Quarterly Review: Q1 - 2011!! We're on a mission with a special edition ... it's the first in our thrice-a-year series with all the best from the past 90 days! At the top of the list is something brand new from Cindy Bradley; Rob Parissi makes his debut; while other featured selections all shiny and new are by Jeanette Harris, Artur Bayramgalin, Sammy Peralta, and Joel Gaines! Ready as well are Boney James and The Rippingtons - also appearing are Rocco & Rahj, Mezzoforte, Hp Hoeger, and Nate Harasim. Other dynamite tracks are by Greg Anderson, SureWill, Cliff deMarks, John Gatti, Shawn Brock, Todd Ashley, & Sonny Olsen. Daniel Domenge is on the show, plus we have Keiko Matsui, Dana Robbins, Lin Rountree, Larry Carlton, Alexander Boynton Jr. and Michael e ... all as part of a 2-hour compilation jam-packed with the absolute finest from the first 3 months of the yea! The musical ride for Pittsburgh, PA native Rob Parissi began in the 70s with the band Wild Cherry and their mega-hit "Play That Funky Music White Boy". The track peaked at #1 on both the Billboard R&B and pop charts in 1976 while the track and the album both went platinum. Many honours followed with Wild Cherry being named the Billboard Best Pop Group of the Year. By 1979, the fortunes of the band had run their course; nonetheless, that opened the door for other opportunities. 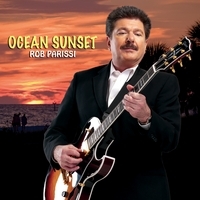 Parissi went on to co-produce a Gary U.S. Bonds album, he played with Bobby Caldwell, and he sessioned with the Billy Squire's Band. Now a few more miles along the way, Parissi has re-emerged with a new smooth sound - from his recently issued Ocean Sunset and his 3rd offering in the past four years we have Rob with the sweet sway of the title track! Just in time for this Quarterly Review comes the biggest news of the week and perhaps the year, the release of the new Cindy Bradley cd is right around the corner - street date is June 21st! Born and raised in Buffalo NY, Cindy went on to earn a Bachelor in jazz studies from Ithaca, and a Master in performance from the New England Conservatory. After relocating to NYC, Bradley honed her chops and seasoned her sound as a sideman, touring and recording with a variety of bands. It wasn't too long before Ms Bradley came to the attention of the Trippin 'n' Rhythm Records big wigs who connected the budding performer with ace-producer and Grammy-winner Michael Broening. The result was Bloom, Cindy's 2009 debut on the Trippin imprint and as auspicious a label premier as smooth jazz has seen in many a year! That release led to overwhelming approval and numerous accolades not the least of which was Cindy being named Best New Artist at the ASJA! Now a couple of years down the road, Broening and Bradley reconnect for the follow-up and a project that's likely to send Cindy into the stratosphere in so far as we're concerned. So what's left except album of the year or maybe even artist of the year honors? If the advance single Massive Transit is any indication, then Ms Bradley has the possibility for a massive hit on her hands. Perhaps Trippin rep Jeff Lunt said it best when he wrote …. "Get your shovel out cause you'll need it diggin this record hard ... "! Saxlady Jeanette Harris started on piano at the age of 7 and then later when she was ten, she tried playing the sax. The connection was immediate. She performed with a variety of bands thru high school and then went on to Berklee in Boston where she graduated with a Bachelor in music performance. In 2005, she drew an L.A Black Music Awards nomination for "Best Jazz Instrumentalist" while opening for and playing with many of the smooth jazz biggies. Ms Harris debuted as a lead a few years back and, in addition to appearing with her own band, she was playing and touring with Teena Marie until the late legend's passing. 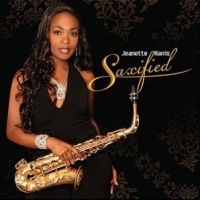 Saxified, released in mid 2010 is her third effort overall, and from that release we offer up the saxy and sultry title track! Hailing from Ufa Russia, Artur Bayramgalin was born the son of a popular local musician so that even from an early age, he was destined to live a life in music. By the age of 22, Bayramgalin was already established as an in-demand guitarist and had performed with many of the top musicians on the Russian scene. Interro Island was Bayramgalin's 2009 debut that drew immediate attention for its uncompromising blend of influences, from smooth and acid jazz to touches of new age and folk. 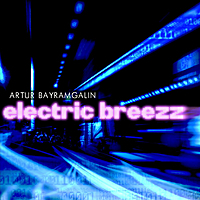 Now Artur takes it to the next level with Electric Breezz, his sophomore release. On this latest effort, Bayramgalin reveals his fluency in funk and Nu-jazz. Venus in Gemini in particular is an alluring study in sound further enhanced by Alina Aminova on vocals and Murat Arslanbekov on sax! A few weeks back, we introduced the Café Jazz audience to Sammy Peralta on Vintage Collection through a decade-old jazz release called On The One and the track Trust Me (I Gotta Go). In the intervening years, Sammy has developed into a prolific force in the world of Mix, Club, & Dance with numerous releases in those styles; meanwhile he's also worked with the likes of Gloria Estefan, Mariah Carey, Janet Jackson, and Kenny G. Additionally, Peralta has been described as one of the "sickest" club DJ's on the NYC scene; all the while Peralta credits jazz as a prime inspirational influence. Released only a couple of months or so ago is Sammy's long over due follow up in Love Affair - the title signifying his life-long love affair with music in its many forms ! On the liner notes, Sammy confides that it's difficult for him 'to convey in words the joy and happiness' he feels with this release - particularly as it's been issued on his own Funkatronik Music label. The project has been years in the making with many revisions 'as well as changes in direction'; correspondingly there's also a sense from Sammy that he's evolved musically. Although Sammy handles the majority of the instrumentation (sax, piano, keys, percussion, bass, oboe, flute, and programming plus a couple of others), the credits also include drummer Lenny White (ex of Return to Forever), who co-produced Sammy's debut back in 2000. From this effort we have the exquisite Quedate, a gorgeous & melodic ballad with Julio Virella featured on acoustic guitar! 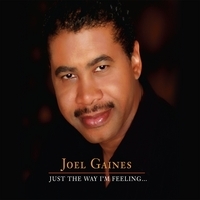 LA native and veteran singer songwriter and keyboardist Joel Gaines has been entertaining audiences around the world backing many of the biggies in the music business. At one time or another, Gaines has been part of the performing entourage for the likes of Gladys Knight, Anita Baker, Barry White, and Chaka Khan among others. Currently he plays keys along side The Jazz Crusaders but previously he's made the rounds in the company of artists such as Kenny G, Rick Braun, and Brian Culberson to name but a few. Well known for his on stage virtuosity, Gaines has bottled many of the finer ingredients of his performance in Just The Way I'm Feeling, his sophomore release. Considering himself first and foremost a contemporary jazz artist, Gaines nonetheless mixes World music and Rock together with a pinch of Pop - and being served this week The Café is All for You, a tasty musical dish that's reflective of that style! More of the Q1 Review: The QR continues with a mix of new selections plus favourites from the showcase presentations that have featured over the past several programs. Here's a run down of the line up. New music from Udi Levy, Yarone Levy, Wes Bound, and Joel Rodney plus first quarter high notes by Cal Harris Jr, Dave Koz, Will Sumner, Darren Motamedy, and Nicholas Cole. Also included are Oli Silk, Drew Davidsen, Michael Paulo, and Blue Soul Groove. In all we have 13 lucky selections as part of this 3 month synopsis!